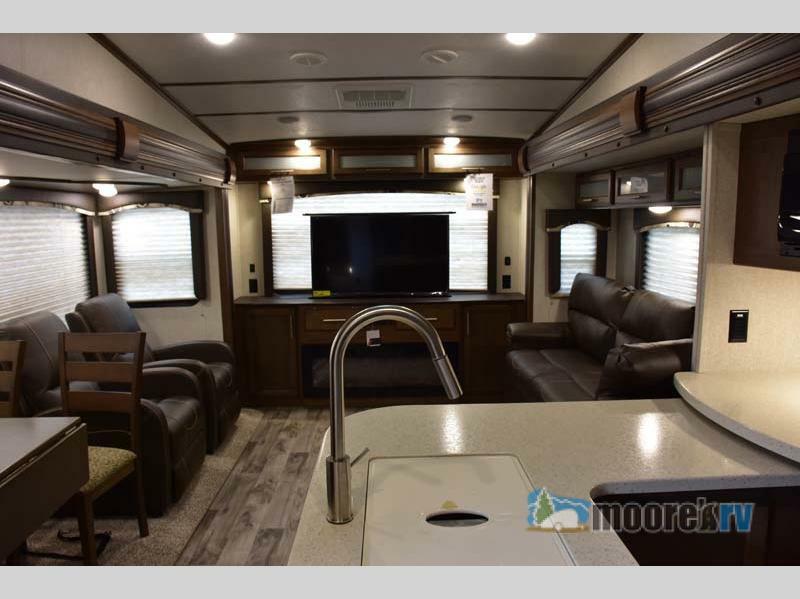 At Moore’s RV we offer some of the best fifth wheels and travel trailers for sale on the market. We take pride in providing high-quality brands to our customers, so don’t miss out on the incredible savings available to you during this pre-tariff RV sale! Let’s take a look at two of our available models below. 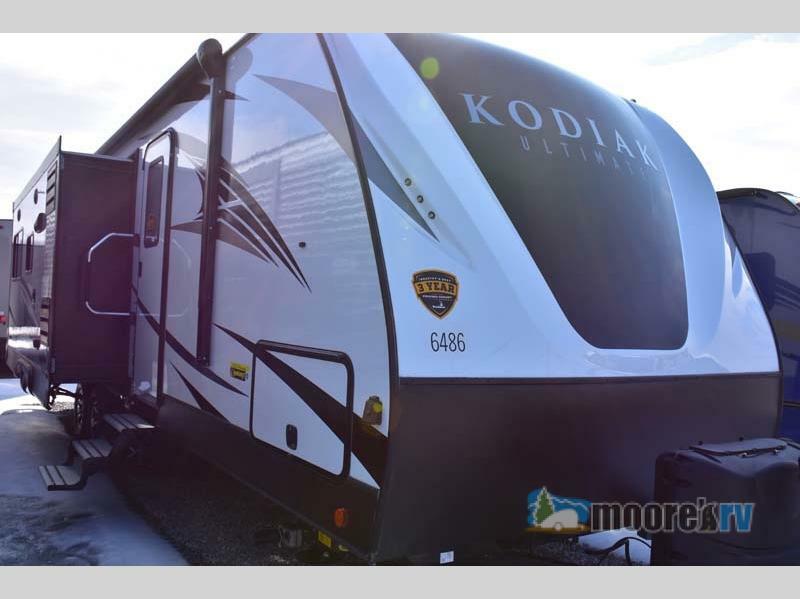 You could take home this Dutchmen Kodiak Ultimate travel trailer today! In this fantastic travel trailer, you’ll find a private bedroom with a queen bed and two large wardrobes for all your clothes. The main living area features a massive slide to give you ample space for cooking or relaxing in the living area. This kitchen comes equipped with beautiful counter tops, a double sink, tons of storage space, a three burner range, and stainless steel appliances! Right now, you could save over $15,000 on this Dutchmen Kodiak, so act fast! Prices like this won’t last long! The massive slide provides all the space you need for comfortable living. 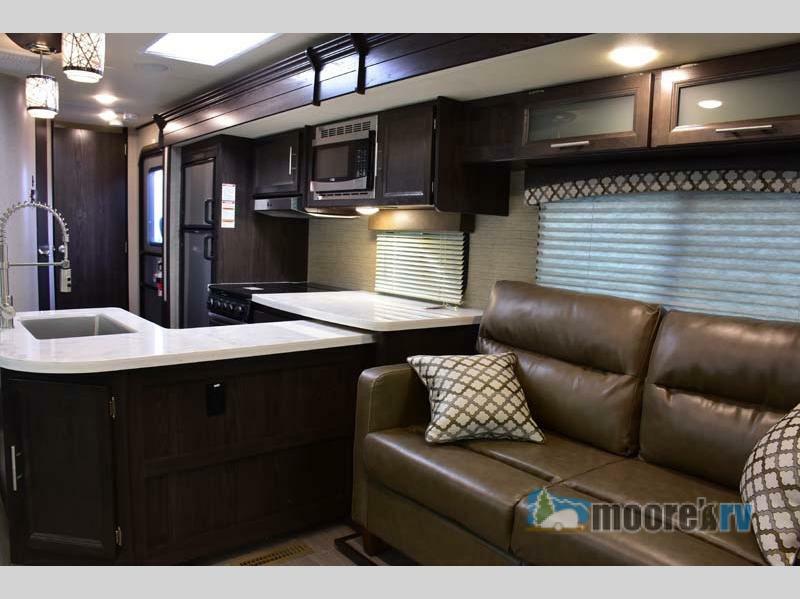 This Keystone Cougar is packed to the brim with conveniences that make all the difference! You’ll find a space-saving pop-up TV in the rear entertainment center and residential seating in the living room. This model features three slides, so your interior living space is maximized. The Keystone Cougar Half-Ton Series even helps you hook up with its Hitch Vision and Max Turn Technology, so you can spend less time trying to hook up and more time to enjoy your vacation! Save over $11,000 on this Keystone Cougar today! It’s time to cash in on huge savings and take home the RV of your dreams! Shop our full selection of fifth wheels, travel trailers, and pop up campers featured in this RV sale, or contact us today!